If you’re looking for a way to enjoy the Geeky side of Paris, look no further, Lodgis gives you their best tips in this fun and interesting article! Being a geek in Paris is a way of life, a concept that everyone gets a taste of on a daily basis. Whether you like superhero movies or going to one of the many conventions and exhibitions held in the city; Paris is a haven for American and Japanese pop culture lovers. If you were smiling while reading the first few words of this post or if you simply want to get a taste of Parisian geek culture, then this is the post for you! Over the last few years, numerous conventions have been held in Paris and they have brought together fans and professionals from all around the world. For those of you who already knew that France is the second biggest anime/manga consumer in the world after Japan, this is no big surprise. However, did you know that France is also the highest video games consumer in Europe? And you thought the fun was going to stop with the yearly conventions? Definitely not! Each year, new exhibitions are put on in Paris. In 2017, highly-anticipated international events for you to get very excited about, are taking place in the city. First and foremost check out the world’s favourite invader with the “Hello my game is…” exhibition at the Musée en Herbe from January, 26th to September 3rd 2017. This anonymous artist has invaded the walls of 67 cities with Rubik’s cube art with new artwork popping up around Paris all the time. For gamers and people who would like to understand video game evolution and the video game generational gap, the “Game” exhibition at the Espace Fondation EDF is from March, 1st to August, 27th 2017. Best of all, it’s totally free! Finally, the most awaited exhibition of 2017, “the Art of DC- The dawn of Superheroes,” will be held at the Art Ludique Museum from March, 31st to September 10th. Parisians will celebrate DC’s history with access to original sketches, cartoons and even movie costumes! A daily taste of Geek culture in Paris? It’s right here! We warned you before, whether you are a total geek or not, it’s impossible to ignore the pop culture phenomenon in Paris. You only have to look up at the walls around you to cross paths with Batman, Sonic the Hedgehog, Princess Leia and countless more famous characters dotted around on the city’s buildings! 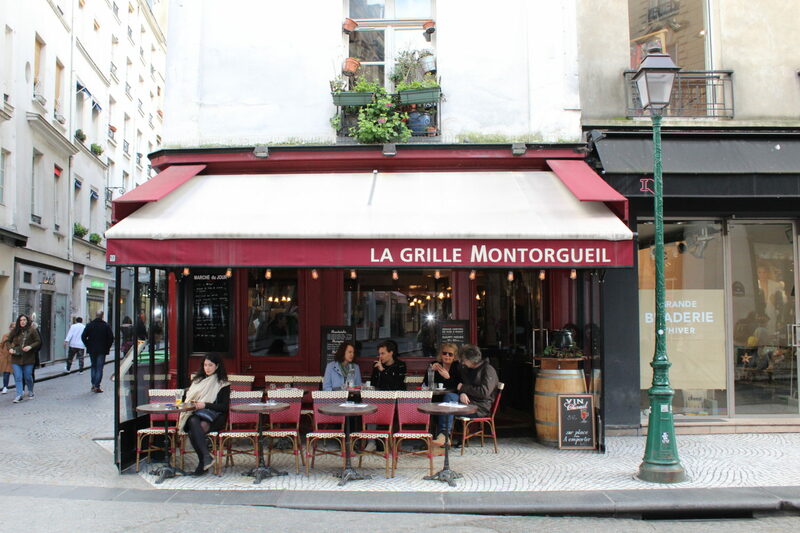 Cafés, bars and arcades in Paris are the places to spend afternoons between friends, reading manga or playing “old school” video games with a couple of drinks. So, now you’ve got all these tips at hand, you are in a position to fully enjoy Paris’ geek scene! Many thanks again to Lodgis for this brilliant article and read more about Lodgis and how they can help you settle in Paris below. Paris is an extremely diverse city and whether you want to live in a very hi-tech, modern apartment, a traditional apartment or perhaps a Japanese style apartment; Lodgis’ furnished rentals offer a bit of everything for everyone. Lodgis’ rentals are as diverse as Parisian life itself. Today, Lodgis, the real estate agency in Paris shows you one of its numerous lovable aspects. For lots of information and advice on how to settle down in Paris, don’t hesitate to check their blog.